For many first-time home buyers, Austin is the perfect place to settle down. There's plenty of jobs, and the burgeoning tech industry is ensuring that there's more on the way. The cultural vibe is addicting, and people love to get together and hang out in the city's downtown areas. So, for those considering the move to homeownership, why not purchase real estate and make this your home for a while? 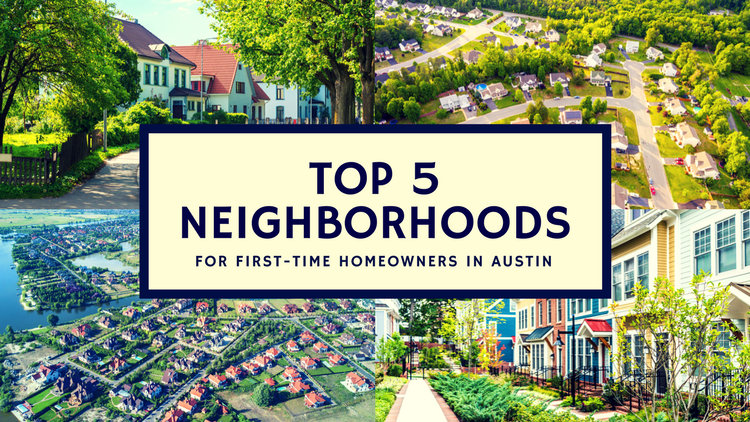 It is important for first-time buyers to know ahead of time that they will likely be faced with challenges in the Austin market. It's a competitive market right now, and it can sometimes be difficult to get an offer accepted when you're up against previous homeowners who may have accrued wealth from their previous real estate investment. In addition, demand for housing in Austin has caused prices to rise, which puts many first-time buyers in a position where the down payment can be a barrier to entry. The Austin Culture Map considers Anderson Mill to be one of the best neighborhoods in north Austin for first-time buyers. Situated by some of the great parks and trails in Austin, this neighborhood is a good choice for those who love to get outdoors and enjoy life. Homeowners also enjoy the fact that they are in a desirable, growing area for many home buyers, which helps increase their resale value. Avery Ranch rests at one of the northernmost points in the city, providing first-time buyers with an opportunity to own Austin real estate for an affordable price. People like to live here because there are many community events and public recreational areas where neighbors can gather together. It's a relatively new neighborhood with plenty of different housing types to choose from. Cherry Creek is nestled in South Austin, boasting some of the historical charm of the old city while also being a short drive from downtown Austin. The homes in this area are more affordable because many are between 20 and 30 years old, but buyers should rest assured that they are high-quality houses. It's a great place for commuters to live, because it's easy to access some of the major highways that run through Austin. First-time buyers who prefer a central Austin location will love Highland, where many of the homes are being updated and remodeled to reflect current tastes and trends. Generally, buyers are going to find quaint houses that were built in the mid-20th century, but they often are willing to compromise on size in order to get as close to downtown Austin as possible. This Austin neighborhood provides first-time buyers with easy access to the best of South Austin. In addition to being located near several new retail developments, buyers who invest in this neighborhood also will be able to enjoy trails, recreational facilities and a community playground that is perfect for many of the city's active residents. Purchasing a first home is a milestone, and learning how it works is only part of the process. To find out more about these fantastic Austin neighborhoods and other places where you may want to look for your first home, contact our real estate team today.